Later this year, Cadogan House will offer an Open House in which Chicagoland residents will have an opportunity to tour the House and meet the resident vampires. All visitors must be pre-registered, and registrations are limited. 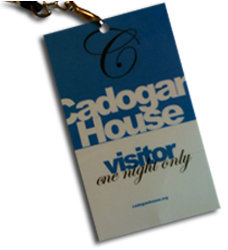 If you're interested in obtaining a Vistor's Pass, please contact Helen, Cadogan House Liaison.